Cheryl wants to make the home buying process easier for you. Her local knowledge started when she was born in Windsor and raised on a hobby farm in Falmouth. Her roots are evident to everyone that meets her as her “good ‘ole farm girl” attitude shines through. Cheryl is casual and friendly while remaining a complete professional. 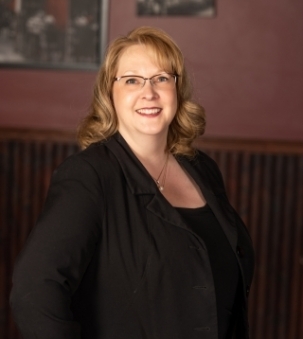 Since completing her business degree at Acadia University, Cheryl has owned her own technical sales company and has been serving customers and friends for more than 25 years. Cheryl married her high school sweetheart 20 years ago and has a 13-year-old son. Happy families and growing the community are important foundations to Cheryl’s success. When not showing homes, you’ll find her gardening, cheering on her son’s sports teams or walking her bullmastiff. For more help in finding your new home, call Cheryl at 902-790-1154 and let her know what you’re looking for.